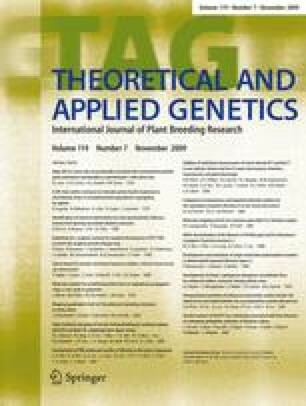 The numbers of SSR markers and their utilization have not been determined and investigated as extensively in Fagopyrum species as compared to other crop species. The current report presents 136 new SSR markers in Fagopyrum esculentum ssp. esculentum and their application to related species in the genus Fagopyrum. Of the 136 SSRs, 10 polymorphic SSR markers were utilized in a genetic diversity analysis of a common buckwheat population consisting of 41 accessions of diverse origin. The study showed observed (H O) and expected (H E) heterozygosities ranging from 0.071 to 0.924 (mean = 0.53) and from 0.073 to 0.902 (mean = 0.412), respectively. Forty-one of the 136 SSRs amplified sequences in other Fagopyrum species, including the cymosum and urophyllum groups. The phylogenetic relationships revealed using the SSRs was consistent with results obtained using other marker systems, with one exception. The sequence and diversity information obtained using these new SSRs and their cross-transferability to related Fagopyrum species will increase our understanding of genetic structures and species relationships within the Fagopyrum genus. The online version of this article (doi: 10.1007/s00122-009-1129-8) contains supplementary material, which is available to authorized users. This study was supported by the Biogreen 21 project (#20080401034058) of the Rural Development Administration (RDA), a grant (Code #200803101010290), and the 2009 Postdoctoral Course Program from the National Institute of Agricultural Biotechnology, RDA, Republic of Korea. We appreciate Dr. G. Fedak for critical reading and editing the manuscript.